Chilean Foreign Minister Heraldo Munoz on Tuesday hailed the collaboration that Chile and China have forged in Antarctica. "We hope to establish with China additional research projects," Munoz told Xinhua at the 39th Antarctic Treaty Consultative Meeting in Santiago. 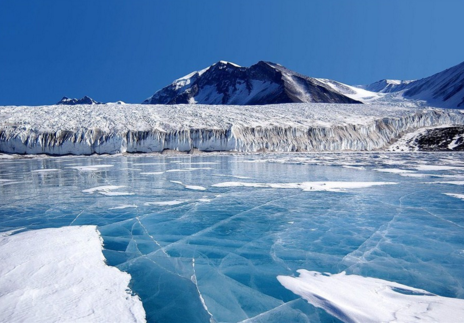 Chile "is a gateway to Antarctica, thanks to the International Antarctic Center, which houses laboratories and scientific infrastructure which all countries can use for their research," Munoz said. He added that the meeting was "the most important for the analysis and administration of the Antarctic Treaty." Some 400 representative from 53 countries, including China, the United States, Britain and Russia, attended the meeting to discuss the priorities for Antarctica, including how to proceed with scientific research and environmental protection in coming years. "Our environmental commitment will mark this meeting, through our answers to the challenge of climate change and how it will affect Antarctica and surrounding countries, like Chile," said Munoz. "If we are not capable of coordinating our efforts to fight climate change and to ensure the human footprint on the Antarctic is minimal, Chile will pay immediate consequences," said the foreign minister. China, as a consultative party to the treaty, built its first research base, the Great Wall station, in Antarctica in 1985 on the King George island. It is now building its fifth base for year-round research.